Cool Breeze Charters Limited (trading as Oceanic Yachts) will never ask you to send or confirm personal information by email, including but not limited to your name, address, passwords or financial information. If you receive an email from someone purporting to be Cool Breeze Charters Limited or Oceanic Yachts, or a purported division of Cool Breeze Charters Limited or Oceanic Yachts, such as the "Security Department" or the "Lottery Department" asking for this type of information, DO NOT RESPOND TO IT. It is most likely to be a fraudulent email, the sole and only purpose of which is to elicit your personal information. To be safe, we recommend you add the sender to your blocked email or SPAM email list. 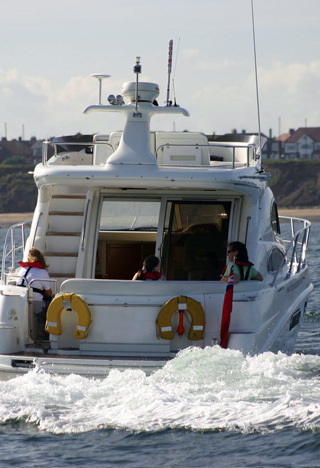 Whilst we have made every effort to ensure the information on this website is up to date and accurate, neither we nor any Cool Breeze Charters Ltd or Oceanic Yachts representative or other third party can accept responsibility for your reliance on any information on this website. The copyright in the material contained in this website belongs to Cool Breeze Charters Limited or its licensors. No person may copy, modify, transmit, distribute, display, reproduce, publish, license or create works from any part of this material or otherwise use it for any public or commercial use without the prior express written permission of Cool Breeze Charters Ltd. You may only view or print individual pages for your own personal use. The names, logos and images on this website which identify any Cool Breeze Charters Ltd or Oceanic Yachts group company, or third parties and their products and services are proprietary marks of Cool Breeze Charters Ltd and/or the relevant third parties. Nothing contained in this website shall be deemed to confer on any person any license or right on the part of Cool Breeze Charters Ltd or any third party with respect to any such name, logo or image. The products and services and technology or processes described in this website may be subject to other intellectual property rights reserved by Cool Breeze Charters Ltd or its licensors or any relevant third parties. No license is granted in respect of such intellectual property rights. Without limitation to the foregoing, although we take care to ensure that the information, images, materials and other content provided on this website are accurate, we give no warranties of any kind, express or implied, that they are accurate, complete or up to date. You should not rely on the information to make any decision or take any action. 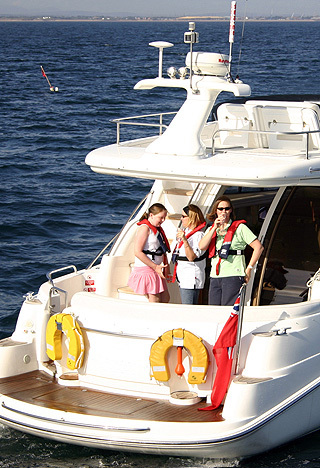 Cool Breeze Charters Ltd or Oceanic Yachts shall not accept any liability for the accuracy or completeness of the information contained in this website or for any reliance placed by any person on the information. In no circumstances will any Cool Breeze Charters Ltd or Oceanic Yachts group company be liable for any losses sustained and arising out of or in connection with use of this website or any site accessed from this website including, but not limited to, loss of profits, loss of data or loss of goodwill (whether direct or indirect) nor any economic, consequential, indirect or special loss. 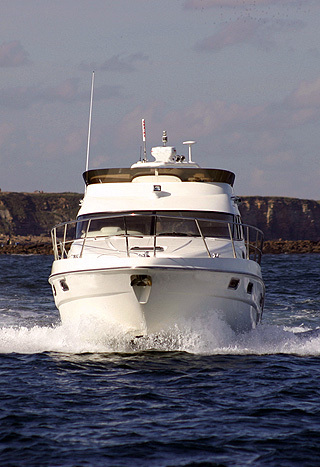 Telephone calls and e-mail correspondence with Cool Breeze Charters Limited or Oceanic Yachts at the email addresses accessible through, or obtained from, this website may be recorded or monitored. By using these communication methods you are consenting to the recording or monitoring of your calls and e-mails.